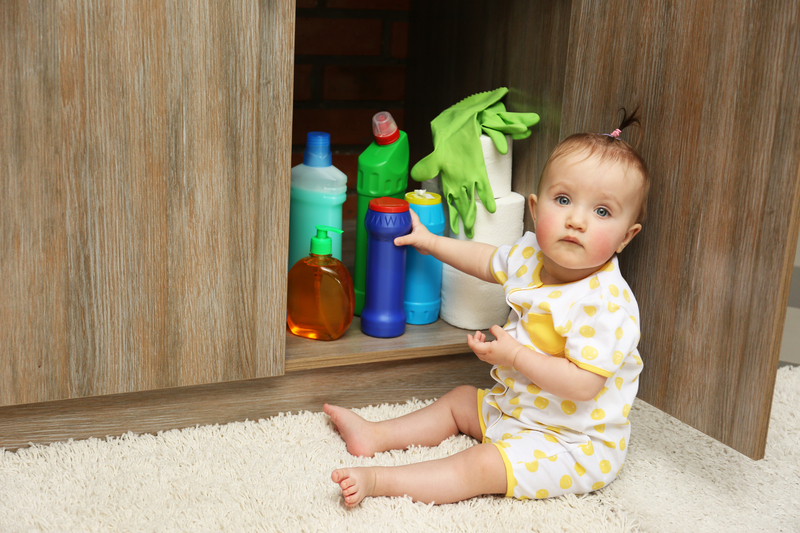 Your wee ones are interested in their world, but simple household items can be harmful. Keep ‘em safe and prevent poisonings with these tips. DANGER: POISON! Adults understand the serious warnings and menacing symbols that tell you something could be dangerous, but to little eyes and curious hands, these are just meaningless squiggles. Anything chemical or items dangerous to babies, toddlers and young children should be locked high and out of sight, recommends the American Association of Poison Control Centers (AAPC). Keep products their original containers (which list ingredients and safety information). Post the numbers for Poison Control and emergency contacts near all phones in the house and garage in your quest to prevent poisonings. Never hesitate to call Poison Control; your information is confidential. If you child is violently ill, has trouble breathing, is unresponsive or passes out, call 911 immediately. DO NOT induce vomiting.